With 1440p (2560×1440) coming to your smartphones’ screens real soon, we should stop and ask ourselves whether is it really necessary to have such high resolutions on relatively small displays. Smartphone displays have come a long way. Companies have been introducing newer technology as days pass and one of the aspect that has been improving is the pixel density of the displays. Is higher always better? Let us discuss the present two main screen resolutions (720p vs 1080p) and try answering the question. 4 Surely higher is better? 6 Why would anyone want higher resolutions on their phones then? 7 What is your source? 8 So which to choose, if any to choose from? p>Only buy 720P (or whichever resolution) phones if the price is substantially cheaper (~15-20%?) and that the specs are almost equal. It isn’t just the displays that phones are improving; the overall hardware that comes with them are usually better for 1080P (and above in future) models. Just don’t expect it to be too much a difference in terms of visual experience. e are two main concepts that you must understand when it comes to this topic. 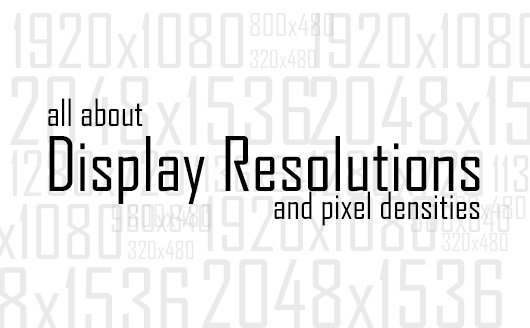 Firstly, display resolution is basically the amount of pixels that are present within the given dimension. Say you have a full HD (1920×1080) 42” television. Within the space of 42” (across), there will be a total of 1920×1080 number of pixels. The next concept to understand is pixel density (usually referred to as PPI, pixels per inch). Pixel density expresses the relationship between the display size and the resolution. It is basically measured by dividing the width/height of the display area in pixels with the width/height of the display area in inches. The other way to calculate is by using the diagonal length (the way screen sizes are advertised) and the diagonal resolution (Pythagorean theorem). For example, your iPhone 5S screen is 4” large and has a resolution of 640×1136 pixels. 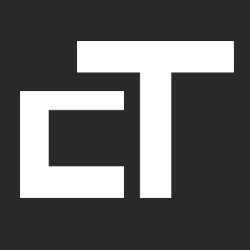 Taking the diagonal resolution (1303 pixels) divided by diagonal length (4”) you get a pixel density of ~326PPI. Looking back at the 42” television will give us a pixel density of ~ 52PPI. There is a limit as to how dense an unaided human eye can differentiate. It is through observations that anything higher than ~300PPI will hardly be differentiated. Of course there are many other factors that play a part such as light activity, the eye itself etc. pixel density, the better it is. That saying isn’t entirely true as there is a physical limit as to the amount our eyes can perceive and differentiate (as mentioned previously). Indeed, you can take a magnifying glass or whatever equipment and look at the tiny little pixels, comparing how your tiny pixels is tinier than the rest. But what good does that do to you? With that said, the higher the pixel density, the clearer things become. For example, text on your screen can be made smaller and on a high resolution display, you can still see it. However on a lower resolution display, it will become blurrier and harder to read. This is true, but how small do you want your text to be? In terms of images, videos and even games, a higher resolution display will allow you to showcase better detail. Just think about it. In an identical confined space, a higher resolution will allow you to put in more colors (more pixels to work with), wouldn’t that equate to even more detail? Color reproduction thus should also be better and more accurate. Now comes to screen estate. We talk a lot about screen estate in computer displays, especially when people are comparing 1080p to 1440p. Screen estate is simply the area as of which you are able to work on. Effective screen estate only becomes available should the components left on the screen be usable. For example you compare two 27” monitors, one of which runs on 1920×1080 and the other on 2560×1440. Obviously, you can minimize everything to become smaller and then be able to fit the same amount of stuff regardless of the resolution. However, because of the lower resolution of the 1080p display, the windows are probably unusable as they are hardly readable or clickable (if everything is scaled to proportion). On the other hand, you will be working on the 1440p resolution monitor flawlessly. Higher resolution is better right? Not if your screen size is too small. Take for example the previous resolutions and apply them on 5” screens. Your effective screen estate will practically be the same. Technically, you can fit more on the higher resolution but because the physical size is too small, it becomes impractical. uggest is that instead of focusing on how high pixel density can go, focus more on the optimal pixel density that is best for you. The main thing here is that our own eyes are limiting our visual experience. No matter how dense a display can be, there is no realistic impact on our experience. Why would anyone want higher resolutions on their phones then? , it looks like 1080P or any resolution higher than that seems to be impractical especially on a smartphone with a screen size that is comparatively small (compared to TVs, Monitors etc). Different people have different set of eyes and as far as I can tell, the visual experience between 720P and 1080P on my phones with screen size of 5.7” is slightly better on the 1080P display only when viewing media (videos, games and images). In terms of web browsing, reading and general phone experience it is practically the same thing. When I first viewed 1080P content on my phone’s 5.7” 1080P display, I was amazed at the sharpness and detail. Taking that same footage and playing back on my other phone’s 5.7” 720P display, it was hard to differentiate the two. There is a subtle improvement on the 1080P display but not much at all. Was my overall viewing experience on the 1080P display better? Definitely not. In terms of mobile games, they do indeed look slightly better. Edges are smoother and colors seem more vivid and detailed. That does depends heavily on whether the games are optimized or even created for higher resolutions. Upscaling does makes things look sharper and generally better but it wouldn’t make it a world of difference. On the other hand, should the game be made for higher resolution display, the game will look better on a higher resolution. Do note, however, that the major downside for all the nicer graphical improvements comes at the expense of the performance of the phone. Phones will need better hardware to run anything at a higher resolution. Definitely your calculator app wouldn’t tax it much but when it comes to full HD 1080P videos and definitely games, the phone must house a powerful CPU and GPU in order for the experience to be smooth. Battery life will be affected as well but as to how much I have no synthetic benchmarks available. With that said, you shouldn’t worry too much as display technology gets better the hardware that accompanies it improves along as well. Besides, with all the new phones being push for higher and higher resolution (at least for flagships and higher tiered phones), it doesn’t seem that you will have much to choose from. ur source isn’t of the best quality. A 1080P display will not make your 480P content look any better. Do keep that in mind. So which to choose, if any to choose from? with full HD displays (for this year, 2013, at least). In future, there should even be higher resolutions as announced by companies out there (2560×1440 and higher). Technically 1080P screens will be better not just for the higher resolution but instead the technology that runs behind it. The display itself should have better color reproduction, power consumption, viewing angles etc. It all comes in one package. Manufacturers do not just up the resolution without considering other factors. That is one thing to take note. Indeed 1080P displays will be more taxing on the phone’s hardware, specifically the GPU. Flagship phones do provide a compatible GPU that can afford the load of full HD resolution. However, there are phones out there that push for better displays but retain a more budget hardware selection. Such phones are okay for everything except for graphically taxing games. Your phone simply cannot take it. In terms of price, 720P doesn’t necessary mean cheaper. The overall package that comes with the phone might even make it more unfavourable. It is thus extremely vital to compare not just the display but the other components that comes along with the phone. Unless of course the phone comes with the exact same specs (CPU, GPU and other components say GPS etc), choose something that fits your budget and lives up to its value. Therefore when it comes down to choosing your phone, never make the display resolution as your main focus. Only make it the deciding factor after comparing the hardware components as well as the price. For example, if the differences between two phones are the display resolution (e.g 720P vs 1080P) and the price (say for the lower resolution one is roughly 20% cheaper), you might want to consider the cheaper one. However, should the difference only be the display resolution, the 1080P one should be the slightly better option since you’ll be paying the same amount but for better technology. This only becomes false if you are buying your phone just for gaming (in that case I would suggest a portable game console). The reason to get a 1080P Phone is that you are likely to obtain Videos that are that size either from Blu-ray, downloaded from the Internet, or from recordings obtainable from most Cameras or Camcorders (including the Phone itself). The size 1080P is a Standard and by adopting it you have everything working together as best as possible. With newer Phones you can press a few Buttons (well, touchscreen a few) and send the Video to a nearby TV when you do not want to watch it on the Device. By not requiring the Hardware (or the Video Player’s Software) to rescale the Video for playback you use fewer CPU resources (and thus a bit less Battery, but more for the bigger Screen). Going to a 720P Screen is really not going to buy you as great a savings in cost for the Phone, or the time it spends charging. Your really saving a bit (maybe) and giving up a fair bit more. Going to a 1440P Phone _could_ be OK if you really like to have a Notification Bar running (and thus not rescale your Videos), but who wants that. The bigger Screen _could_ be OK for Internet Browsing but 1080P works fine (and the Fonts are tiny enough). Having a Phone with a size different than 1080P does not make a lot of sense. Your so-called “Phone” would need to be over 7 inches to be useful and usable at 1440P for non-Video watching activities. For Video watching that size is not particularly helpful — WIDER is totally another thing 21:9 Cell Phone Screen are going to come someday, then we will have 2520x1080P ! (then you can watch Cinema Films, anamorphic, widescreen). For Tablets to be usable for 4K they ought to be over 10 inches, that plainly is not a “Phone” even if it does have LTE (anymore than a “Camera” with LTE is a “Phone”). Between the Hardware, the Games, and the density of Pixels that is “useful” in a Device the size of a “Phone” we likely should go for 1080P and not choose larger or smaller. What is the reason the other sizes would be better ? (for a Phone sized Device, it’s really gotta be a lot less than 7 inches diagonal — unless it has a 21:9 size Screen, as than would make it skinnier). Thanks for writing this Article Swift. Yikes, the Website strips all the CRs and makes your paragraphs all run together.